Iranian President Hassan Rouhani arrives to attend an armed forces parade in Tehran, Iran, September 22, 2017. DUBAI - Iran said on Saturday it had successfully tested a new ballistic missile with a range of 2,000 km (1,200 miles) and would keep developing its arsenal, despite U.S. pressure to stop. 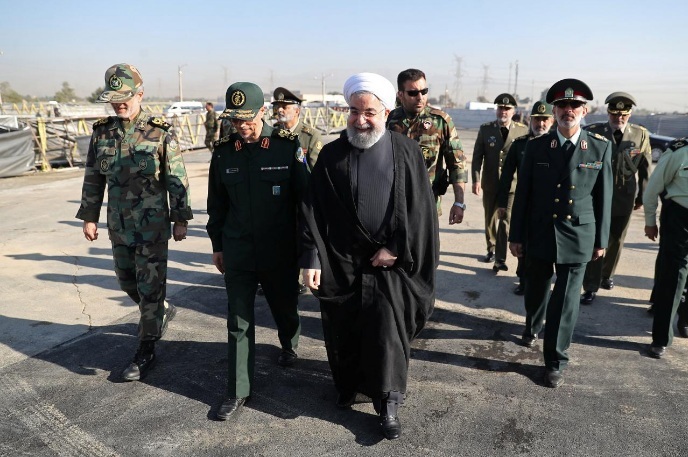 “The weight of the Khorramshahr missile’s warhead has been announced to be 1,800 kg (4,000 lbs), ... making it Iran’s most powerful missile for defence and retaliation against any aggressive enemy,” state television said.